Open Windows Live Mail on your computer. 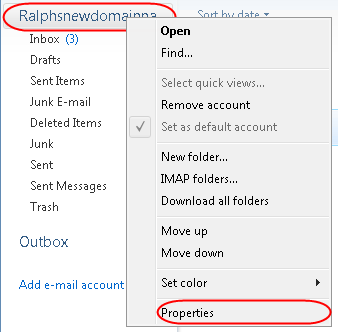 Right click the mailbox you want enable SSL on and select Properties. Outgoing mail (SMTP): Set the number to 465. This server requires a secure connection (SSL): Tick this box. Incoming Mail: Set the number to 993 for IMAP or 995 for POP. Click Apply, then OK at the bottom of the window. 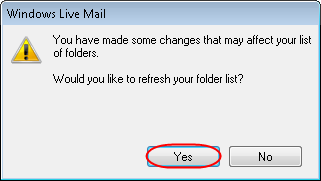 A notification asking if you would like to refresh your folder list will appear. Click Yes, this process will take a few minutes to complete. 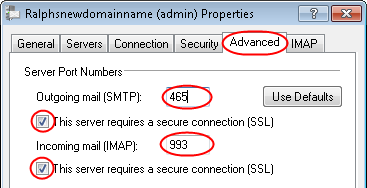 Your mailbox is now set up using SSL in Windows Live Mail.